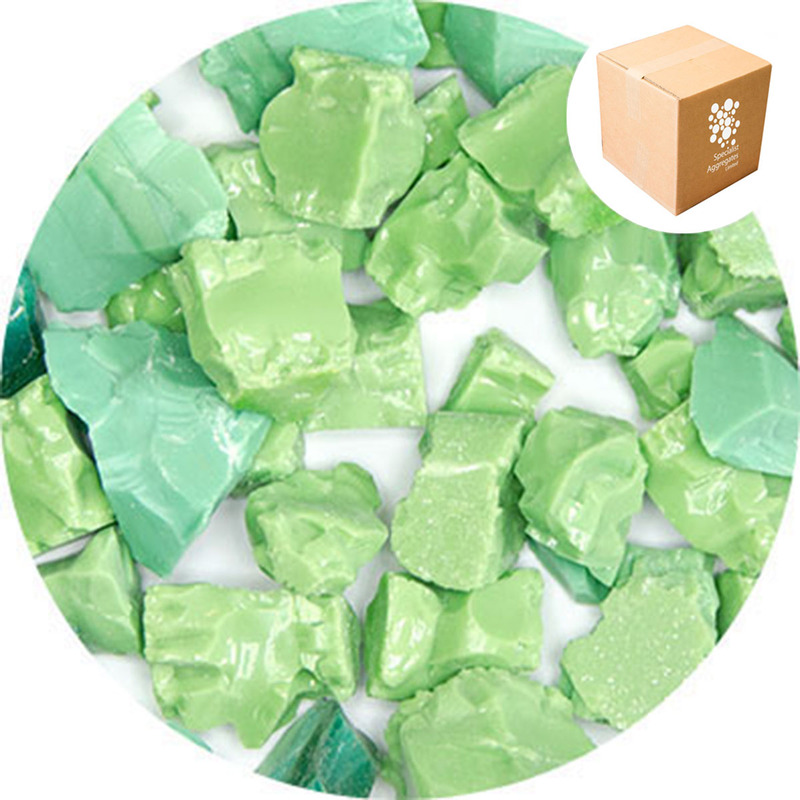 Product Description : Top quality sparkling opaque Paris green crystal glass chippings that have been crushed and tumbled. The glass comes as a mix of opaque green colours in sizes from approximately 10mm to 20mm. Suitable for window dressing, photographic assignments, and memorials. Please request samples if this is critical to your application. 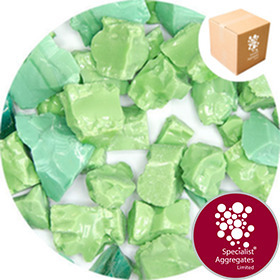 Being a glass product the striking pale green colour will not lose its sparkle or fade. 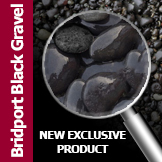 Design Specify: Paris Green Glass Gravel from Specialist Aggregates.